Putnam County Sheriff Robert L. Langley. 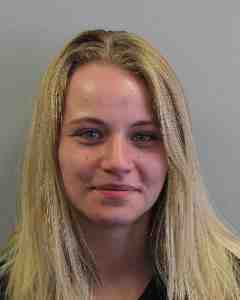 Jr reports the arrest of a 24-year-old Brewster woman for unlawfully possessing drugs in Putnam County. On June 1, 2018 at approximately 11:55 a.m., Deputy Shane Rossiter arrested 24-year-old Brewster resident Bernadette N. Mullen for allegedly possessing marijuana and controlled substances. of Route 22 in the Town of Southeast. Pursuant to an investigation, Deputy Rossiter recovered partially smoked marijuana cigarettes and two (2) un-prescribed prescription medications alleged to be Xanax and Suboxone. Ms. Mullen was subsequently placed under arrest. Ms. Mullen was charged with two (2) counts of Criminal Possession of a Controlled Substance in the 7th degree, a Misdemeanor, Unlawful Use of Marijuana and a traffic violation. Ms. Mullen was issued an appearance ticket for Southeast Court and released.